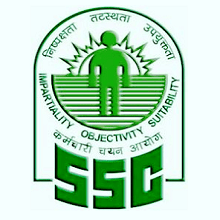 Staff Selection Commission (SSC) is going to conduct a written examination for Lower Divisional Clerk (LDC)/Junior Secretariat Assistant, Data Entry Operator (DEO), Postal/ Sorting Assistant and Court Clerks post through Combined Higher Secondary Level Exam-2019. Candidates who are devoted to be a LDC & DEO or Postal/ Sorting Assistant must have information about exam pattern & syllabus of this exam. In this Article we provide you detailed information about Exam Pattern & Syllabus of SSC LDC & DEO Exam. Written exam consist of one objective type paper of 200 Marks / 100 Marks. The questions of Sections (General Intelligence, Quantitative Aptitude (Basic Arithmetic skill) General Awareness) Will be Set in Both Language I.e. English & Hindi. Only English Language Section will be in English. General Intelligence:- It would include questions of both verbal and non-verbal type. The test will include questions on Semantic Analogy, Symbolic operations, Symbolic/Number Analogy, Trends, Figural Analogy, Space Orientation, Semantic Classification, Venn Diagrams, Symbolic/Number Classification, Drawing inferences, Figural Classification ,Punched hole/pattern-folding & unfolding, Semantic Series, Figural Pattern – folding and completion, Number Series, Embedded figures, Figural Series, Critical Thinking, Problem Solving, Emotional Intelligence, Word Building, Social Intelligence, Coding and de-coding, Other sub-topics, if any Numerical operations. Candidates can drop their comments in the comment box. Any query related to SSC CHSL Syllabus 2019 will be welcomed & Our Expert Panel will try to solve your Query. Main Rajasthan se hoon. Mujhe kuch log bol rahe hai ki RSCIT ka course karna hoga phale phir ldc ka form bharenge toh AAP btaye ki kya mujhe RSCIT ka form bharna padega. Sir. I am ex serviceman. May I have passed direct degree passed in open university. May be eligible or not for CHSl. Please give me information. I am looking for this platform but when will publish the online date?? I want new pattern exam online paper plz sir…. Check CHSL 2016 Exam Analysis from the given link.. Which book will be the best book for preparation? For good practice buy book of Kiran or Arihant publication. Is there any difference with the exam pattern among all(pa/sa,LDC,deo cc) posts, or common entrance test. Please explain…. I got tp read that ssc chsl exam consist three tieres. Is is true? I want previous year question papers. I want to know, in typing exam the written paragraph which has to be typed ,will it be in short hand or in normal english/hindi language ??? Sir, where can i download hallticket? And from which website, may i download previous question papers?